In this tutorial we will be showing you how to create and setup an email account associated with your domain. 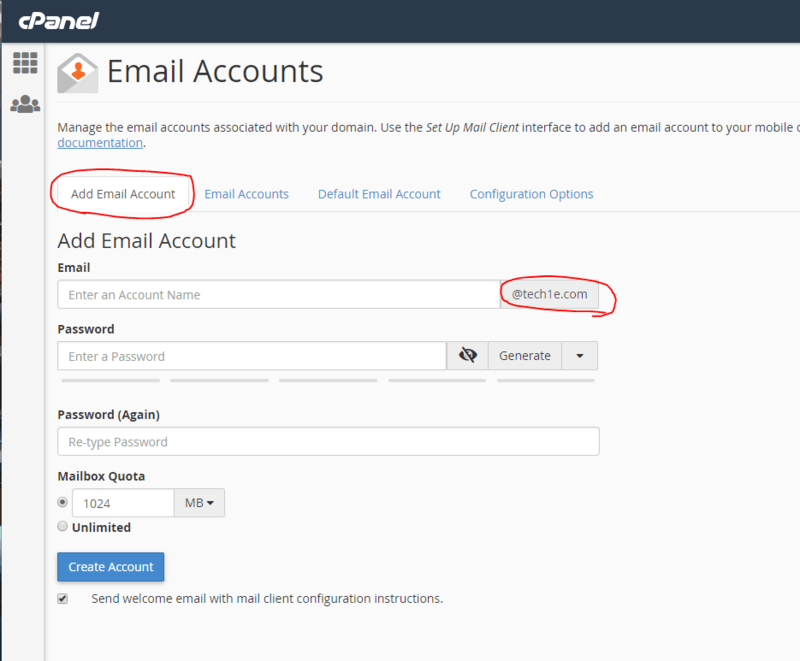 You can manage all of your email accounts from your cPanel account associated with your hosting service. To register a domain head over to Register a Domain. First, you will need to login to your cPanel account. 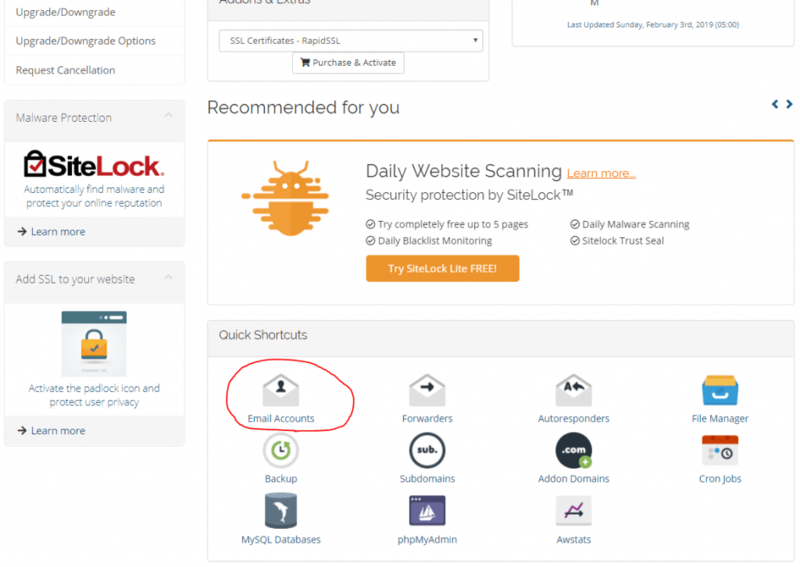 You can do this by going to https://yourwebsite.com:2083 or by logging into your Lucky 6 Hosting dashboard and going to Services > My Services > your hosting service > Login to cPanel (or “Email Accounts” located under Quick Shortcuts on this page). Once you’re logged into your cPanel, search for “email” in the top search box. Under the Email section, select Email Accounts. Under the Email Accounts section, select the Add Email Account tab. From here you will be able to enter your account name and choose the domain to associate it with. Enter your desired password or generate one. Lastly, choose your Mailbox Quota (you can leave this at default or set it to anything you like). You can view your email accounts under the Email Accounts tab. Select Access Webmail to see instructions on how to add these email accounts to your mobile phone or most of mail clients out there. Take note of the information under Mail Client Manual Settings (username, password, incoming server, outgoing server). You can also access your email by going to https://yourwebsite.com/webmail and logging in with your email address and password. You can view your mail in any of the web apps at the top of the page (horde, roundcube, SquirrelMail). That’s all folks! You’re all setup now with your email accounts for your domain names. 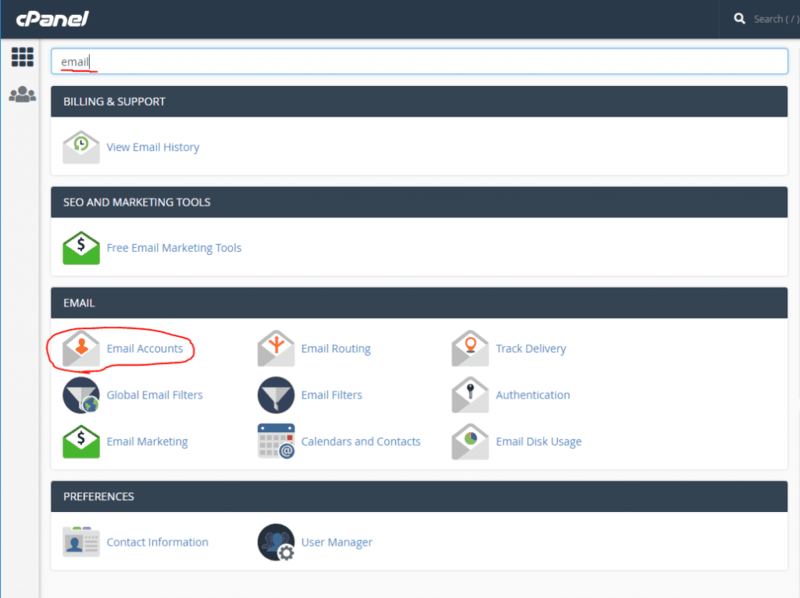 Feel free to peruse the Email section in your cPanel and see all the available features/tools to help you with your email journey. If you have any questions, comments, or want to see a tutorial on something else feel free to let us know via live chat or a support ticket.